Welcome once again VR lovers to your weekly roundup of the latest launches, announcements and rumours flying around in the world of VR that we've saved to tell you all about them right here. On the site this week, our features editor Sophie tells us why you shouldn't be put off virtual reality by crappy viewers and apps, we take our first look at the Pico Neo untethered VR headset and pick out our favourite Google Cardboard apps. From PlayStation VR controller support to some good news on Oculus Rift availability, here's what you may have missed from the week in VR. Good news prospective Oculus Rift owners, the company has announced that headsets will now ship within 2-4 business days. It also confirmed that it has shipped all pre-orders and apologised for the delay. In other Rift related news, the Touch controllers are still on schedule to launch later this year with 30+ launch titles promised when it finally lands. "Nearly all PlayStation VR titles will support DualShock 4 controllers, and several games will deliver an enhanced experience that further immerses gamers with the use of peripherals such as Move or the recently announced Aim controller. There will be a limited number of titles that require Move controllers." It sounds like the augmented reality game phenomenon could be getting some VR love so you won't even have to leave the house to catch them all. The Pokémon Go Cardboard support rumour comes courtesy of a mention of the budget VR headset in the Licenses sub-menu inside the Pokémon Go app. The Huffington Post has announced that it's going to broadcast 360-degree videos of both the Republican and Democrat National Conventions, which kick off on 18 July. The footage will be available on web browsers and for Google Cardboard, so there's no need to spend big on a Vive or a Rift. 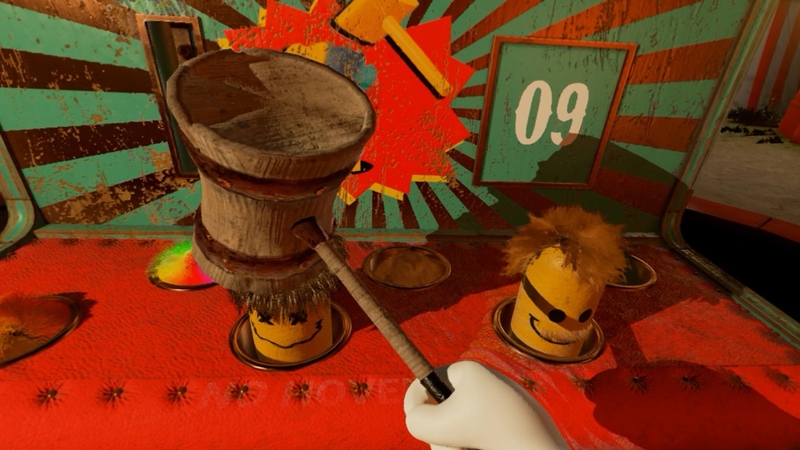 If you've got a HTC Vive and a PC packed with Nvidia's latest graphic tech, then you should definitely give this a collection of carnival themed minigames a go. Pushing your hardware to the limits, VR Funhouse packs in seven different carnival games in total showcasing the chipmaker's ability to deliver advanced graphics, haptics, and realistic physics. This is technically Nvidia's first game and hopefully it won't be its last. It's available now on Steam and is free to download. GoPro has given us a taste of what we can expect from its LiveVR technology with a video showcasing the immersive, broadcast quality footage . The video entitled, A Day in the life of a Moto Racing family, tells the story of former professional biker Randy Mamola and his son Dakota Mamola who's decided to follow in his father's footsteps.